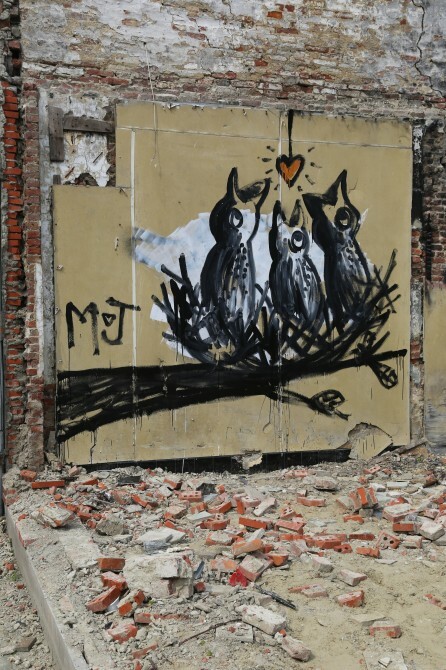 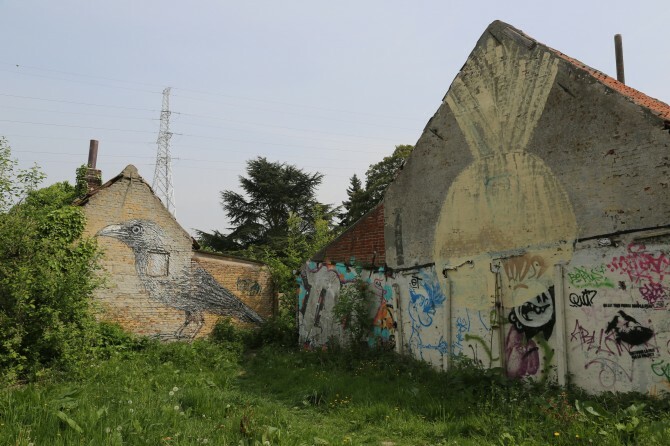 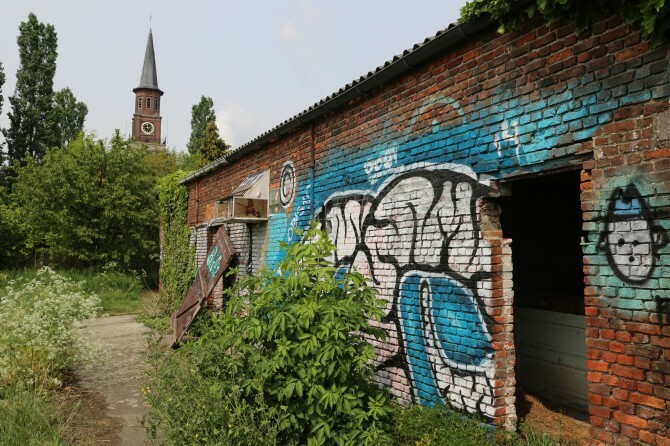 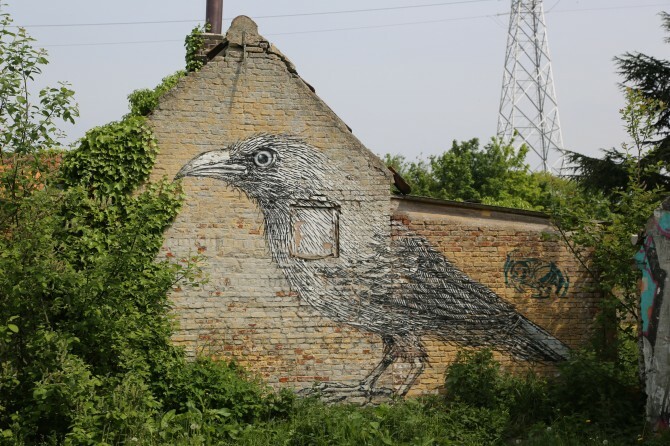 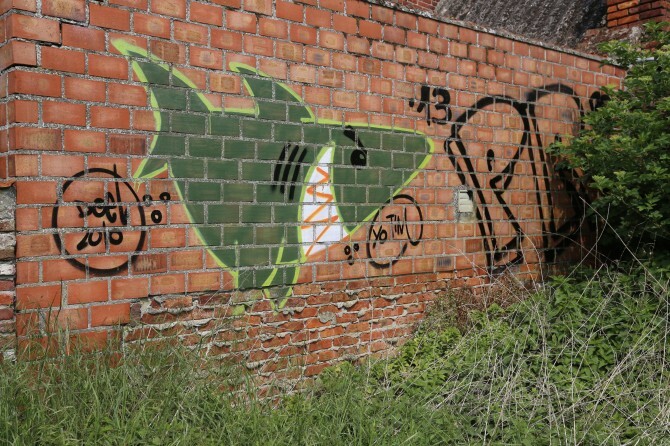 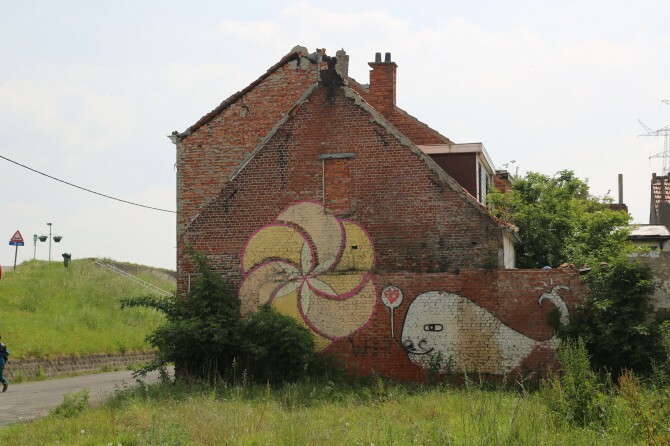 Belgium never looked so graffitied. 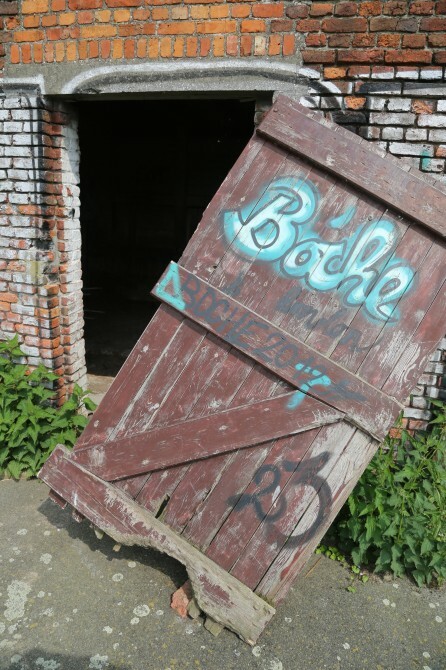 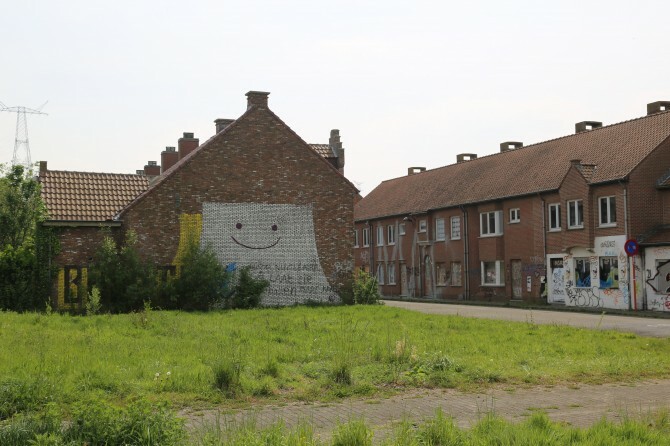 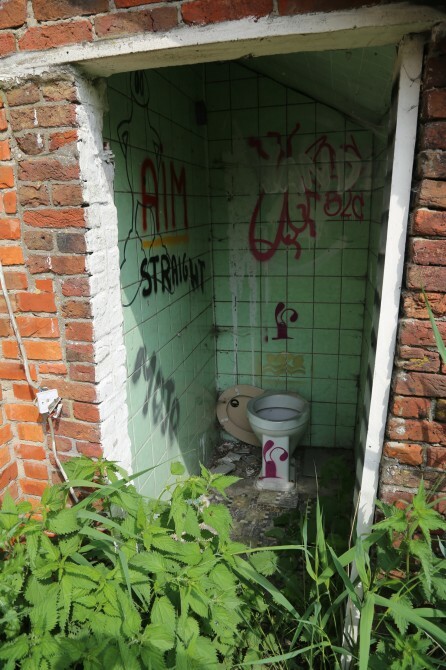 About a year ago maybe, I wrote a post about this abandoned ghost town in Belgium called Doel which had once been a fairly decent community but had now shrunk to an abandoned village with about ten residents. 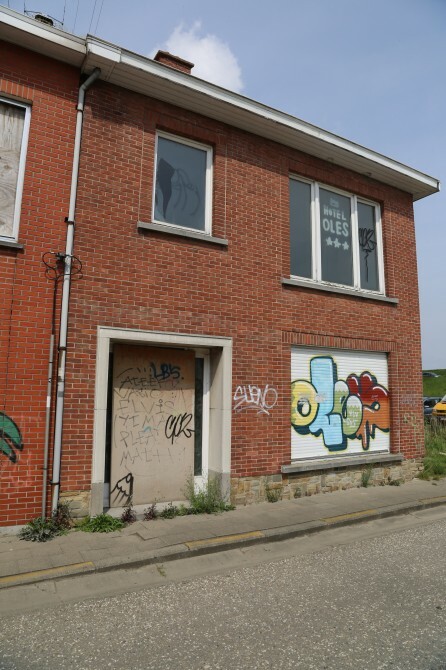 This was because the town had been targeted by the Belgian government to be used for more space for nearby Antwerp’s shipping lanes. 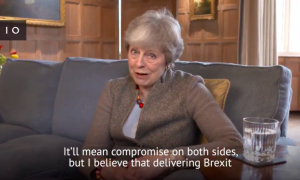 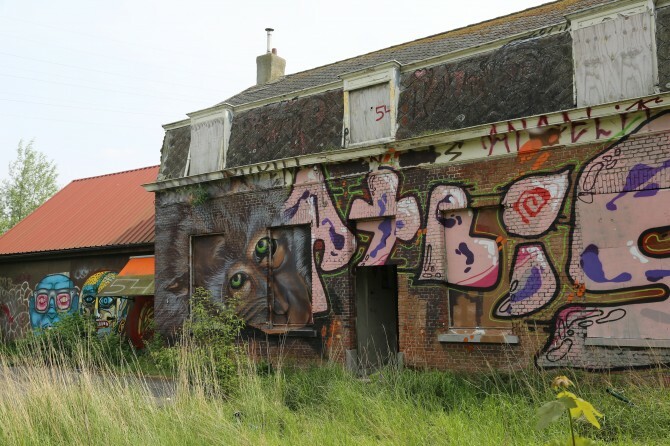 The government paid off many of the residents to move out of their homes and the majority did this, although a stubborn few stayed and the government could never clear everyone out to build said shipping lanes. 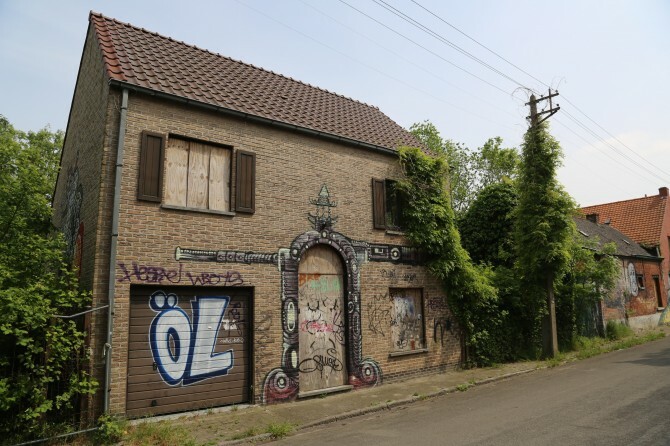 As such, Doel is now a ghost town which survives on its tourist industry as people come from far and wide to check it out and explore the abandoned shops and houses there. 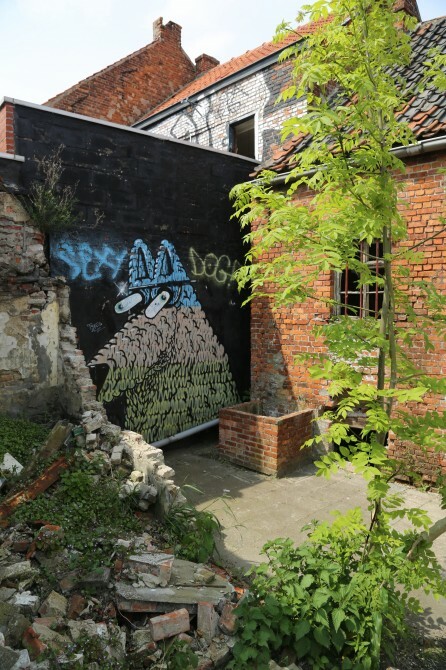 There is one restaurant and one shop and about four inhabited houses now and that’s it. 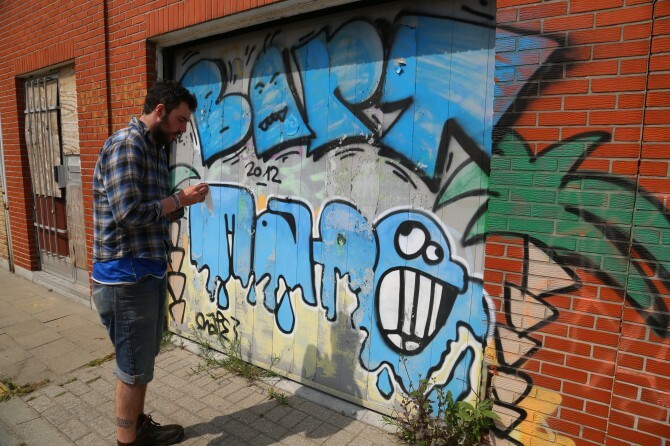 The rest of the town is completely wrecked, with many of the best graffiti artists from all over the world coming to visit it and tag it. 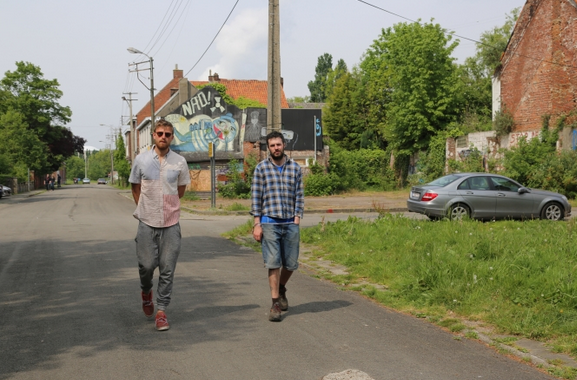 Me and a few friends were on our way back from Groezrock and decided to check it out and take a few pictures. 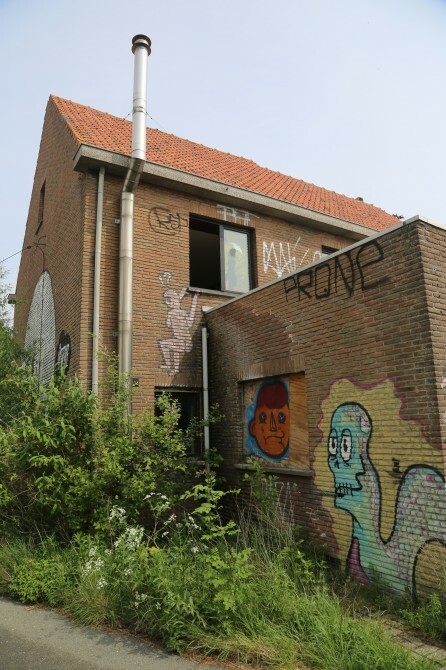 Here they are and if you enjoyed these check out some more pictures of abandoned buildings and abandoned shopping malls too.